While a young boy enjoys a summer’s day, his thoughts constantly return to his father, who is digging for coal deep under the sea. 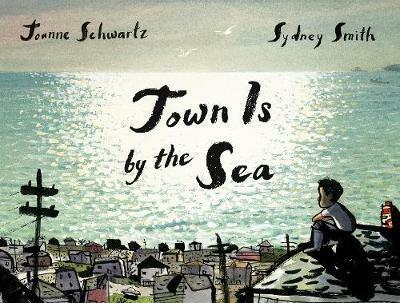 Stunning illustrations by Sydney Smith, the award-winning illustrator of Footpath Flowers, show the striking contrast between a sparkling seaside day and the darkness underground where the miners dig. This beautifully understated and haunting story brings a piece of mining history to life. The ever-present ocean and inevitable pattern of life in a mining town will enthral children and move adult readers, as a young boy wakes up to the sound of the sea, visits his grandfather’s grave after lunch and comes home to a cosy dinner with his family, but all the while his mind strays to his father digging for coal deep down under the sea.